Another round of Trish's Pin It and Do It Challenge has come to an end. I tried three new recipes early in the month, but then slowed down a bit. 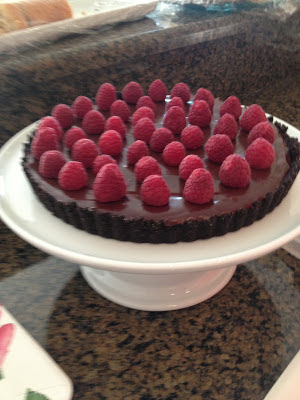 Over the long Memorial Day weekend, we enjoyed one more Pinterest success when I made a Chocolate-Raspberry Tart from Martha Stewart (my original pin). The recipe was simple and the final product was stunning. The tart is very rich, so small slices were in order... there wasn't a crumb left over. My goal at the beginning of the month was to complete at least one non-food pin. 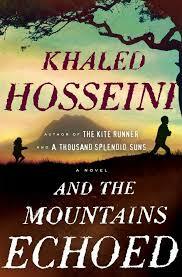 It almost seems like cheating, but I purchased and read And the Mountains Echoed by Khaled Hosseini. It went from the Books on my Wish List board, to Current Reading, and has now earned a spot on my Recommended Reading board. A review will be posted sometime in June. 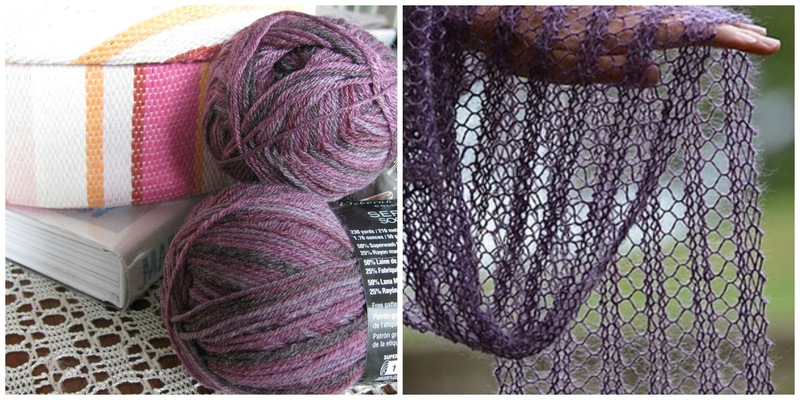 Finally, in an effort to get back into knitting, I purchased yarn to make a scarf. As I feared, my rusty knitting skills translated into sub-optimal results. I have ripped out the beginning twice (so far), but will see if my mother can help later this week. I think a knitting skills refresher course is on order. Thanks again, Trish. 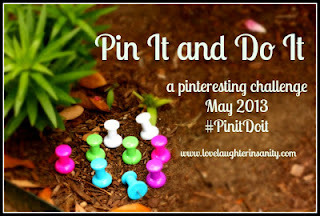 Pin It and Do It is always fun! I love the scarf pattern, and I can only imagine what my attempt would look like if I picked up my knitting needles again. (It's like college...I haven't done any knitting since last century. :) ) Well done, you, for trying! And that tart is calling my name. Audrey - Guess I'm just too much of a perfectionist! Mmmmmm, would love a piece of the chocolate raspberry tart right now! Jama - It was delicious! what a beautiful looking dessert...Martha is a goddess! I'm jealous of your knitting skill! I can crochet but I am a beginner. Love your chocolate raspberry tart - since I started a pinterest account I will pin it to my sweets page! Tina - Well that skill is unbelievably rusty at the moment, but hopefully I can get back to where I was before. The tart is amazing! I'd love a slice right now. That tart is a masterpiece. Beautiful! Too bad I don't live closer. I would trade a knitting lesson for a slice of that yummy tart! Your chocolate raspberry tart is awesome. Thanks, Diane. 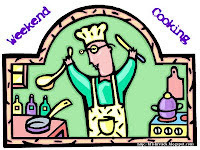 Hope you're enjoying the weekend. Vasilly - It was surprisingly simple to make. You just need to have the special tart pan with a removable bottom. As everyone else has said... that tart looks fabulous! My mouth is watering just thinking about all of that chocolate. Chocolate with fresh raspberries...yum! The scarf is lovely too. Very nice for warmer weather. Janel - Chocolate and raspberry is one of my favorite flavor combinations. As others have said, chocolate and raspberries are always a hit. I really need to pick up my knitting again. Beth F - I'm so out of practice ... hope I can resurrect my knitting skills before too much longer! Your tart is gorgeous and I can just imagine how good it tasted! I started this book on audio but couldn't get into it. It was probably just the timing so when I'm done with Under the Dome I'll try again. I love the pattern for your scarf. Since its warmer out now I've been crocheting some little squares and then I'll sew them together for an afghan eventually. Notice I said eventually. Lol. Darlene - I started And the Mountains Echoed on audio, but ended up stitching to print after 3 or 4 chapters.... combination of wanting to 'read' faster and it was too much work following the narrators accents. Ended up loving the book though. Hope you can give it another chance t some point. And that scarf pattern is so pretty! I wish I knew how to knit. I was trying to teach myself how last year and was finally catching on. I should pick it back up again. I was a big failure at this challenge and I only needed to complete one pin! Life somehow got in the way :) That tart looks divine. The tart looks stunning!!! Thanks for the awesome Pinterest boards too!!! Hope your mom is able to help you out because the end product is going to be beautiful! Staci - The tart is almost embarrassingly simple to make, yet it looks SO elegant. I'm planning to spend some time with my mother this week... hopefully she can get my knitting projecy back on track. Yes that cake IS STUNNING! Great job! And kudos on the knitting. I'd love to learn how but I'll stick to the machine. At least if I get made at it, it's easier to give a swift kick than knitting needles are. ;) Good luck with it! Trish - The best thing about the tart is that it looks like you slaved for hours, but it's really SO simple. My mom refreshed my memory about the right way to cast on, so i'm back in business with the scarf - yay!